Getting you to do the hard work that gets results. I’m not the kind of trainer who will tell you what you want to hear, and let you cling on to old habits that create problems for your health and fitness. I am very respectful of people’s busy lives: you might have kids, a mortgage, a challenging job, and other demands on your time and attention. But my dad’s experience taught me one thing: you can’t put this off. The job will always be there, as will the mortgage, the kids, and all your other responsibilities. But if you want to give 100% in all these areas of your life, you need to start from a foundation of taking care of your body and making it as strong and healthy as you can. The reason I work you hard is because I want you to get results. When you work with a personal trainer you’re investing your valuable time as well as your money. You’re changing long-established eating patterns, and putting in a lot of effort in the gym. Do you really want to go through all of that and miss out on your goal? Of course not. You want to change the way you look and feel for the better, and that’s what I will help you achieve. I will also let you in on a little secret: working out hard feels great. Once you build up a sweat, your body releases endorphins that give you a natural high – it’s nature’s way of letting you know you’re doing your body the power of good. And as the days and weeks go by, and you see the results in the mirror (and start to pick up compliments from people around you) you’ll feel better than ever. It doesn’t matter where you are on your health and fitness journey – we all start somewhere. Whether you’re unfit, overweight or in need of motivation, I know how you feel – because I’ve been there myself in the past. And I can help you make the changes you want. If you’re seriously out of shape, the best thing you can do is start by being honest with yourself about your condition. This gives you a foundation to change. And if you’re an experienced gym user, I can help you take your training to the next level, pushing yourself harder than ever in the pursuit of excellence. And you’d be amazed to learn how much extra weight you put on from some innocent-looking foods – things you’d never suspect would be a problem! On the other hand, you’ll be pleasantly surprised to learn how a few small changes to your eating habits can make a huge difference to your body and health. So the first thing I will do with you is analyse your diet and create an eating plan that is tailored to your specific needs. I’ll help you avoid the nasties and eat tasty food that nourishes your body. valuable nutrients, which has a negative effect on your endocrine (hormonal) system, your metabolism and your energy levels. Starving can also result in cravings, fatigue or even depression. Similarly, restricting a food macro such as carbs or fats can cause large problems if not watched carefully; if they are abused they can cause weight gain. And these days, there are so many additives in our food that can create havoc with the way our bodies function, that it can be hard to make the right decisions about your diet. When you work with me, you won’t be starving yourself, or setting up problems for yourself with the latest fad diets. Instead, I will start by analysing your current eating patterns, and then create an eating plan that is tailored to your individual needs and training goals. While I can show you what a healthy diet looks like, I can’t eat it for you! You will need to take responsibility for your own diet and lifestyle, if you want to see the results in the mirror. 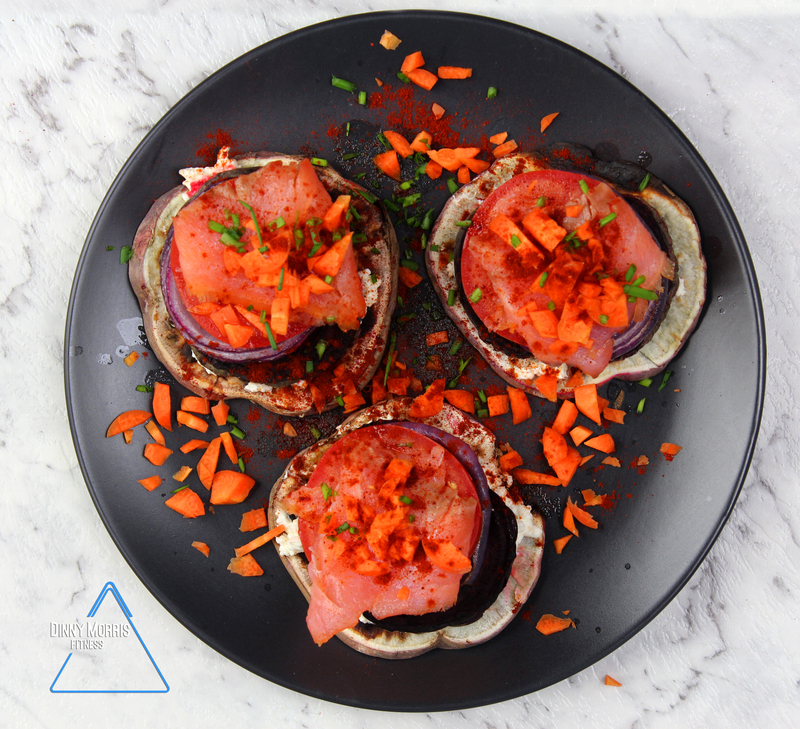 The food plans I create are example food plans, not prescriptions – I help my clients to recognize the effect of their eating habits and make adjustments themselves. If necessary, I refer clients to a dietician for more detailed assessment and diet plans. Although I have taken courses on supplements, been a guinea pig and tried every legal natural supplement under the sun, I don’t sell supplements. Nor do I recommend vast amounts of supplements. exercise: hard work blows supplements out of the water. This is because most people don’t really know how to make the most of the gym equipment, or what a powerful and intense workout feels like. An experienced trainer can really push you harder than you can yourself. But don’t worry: you will be working hard, but it won’t be more than you can handle. And your program will be carefully adjusted as you gain strength and your fitness improves. And we will look at what is happening to your movement and posture to determine that you are able to perform certain exercises. You see, most people don’t realise how great it feels to really train hard and discover what your body can do. I keep things fun and interesting by introducing plenty of variety into your workouts: we’ll mix cardio, weight training (that’s right ladies, you too! ), and different equipment, such as barbells, kettlebells, sleds, ropes, dumbbells, and specialized machines. I also change your entire program every few weeks. If it is either a bodybuilding program or a weight loss program I have the right equipment to get the job done. I have trained with many industry-leading trainers, which means I can bring all kinds of different activities into your sessions, to keep them interesting and enjoyable. Work with me and you’ll be doing things you didn’t expect! Technique is the foundation of your work in the gym: without proper technique, you will not work the correct muscles, let alone hard enough, and you risk injury. When I show you the correct technique for each exercise, you will be able to focus on and feel the specific muscles being worked. This is called ‘mind in the muscle’ and will yield better results and give you the confidence to know you are doing each exercise correctly when you are working in the gym on your own. build the intensity of your workouts. Intense exercise, particularly lifting weights, will help release Human Growth Hormone (HGH) and testosterone. This will increase your muscle mass and your metabolism, so that you burn calories faster – even when you are not exercising! Ladies – this includes you as well. You have 30% less testosterone than males, so without weight training you will struggle to add muscle mass and lose weight. (And no, you won’t end up looking like Arnold Schwarzenegger! I promise.) The more muscle we put on you the better your metabolism will burn extra calories. You will also have a stronger immune system, grow stronger bones, and also release stress and gain confidence. We will track your progress relentlessly – so that you are in no doubt when you are succeeding, and when you need to put in some extra effort. As well as recording all your weights and timings in the gym, I use regular caliper testing, so that you can see your progress in black and white as well as in the mirror. And we’ll take photos every few weeks so that you have a clear visual record of your progress. My clients never cease to amaze me. I’ve seen people show up for the first session looking totally overweight and out of condition. They may struggle in the first couple of sessions but then BANG they are in the gym by themselves, they are motivated and on a mission. Within a few weeks they look totally different. They’ve lost weight, beefed up, and they’re off playing sports, dating confidently and outrunning with their kids in the park or heading off on that holiday in the sun. So what’s the magic X factor that helps some people make this kind of transformation? Obviously you can’t succeed without the physical factors of diet and exercise. But the final key to success is mental, not physical. Your attitude to your training and diet is the single biggest factor that will determine your success or failure. Because if you don’t have the right mindset, you won’t stick to your diet, you won’t show up for training and you won’t push yourself as hard as you need to get results, or you will come up with every excuse in the book as to why you have not succeeded. Working with a personal trainer is not like outsourcing the washing of your clothes or the cleaning of your house: YOU are the only person who can change your body. And taking responsibility for that change is the most important thing you can do on this journey. I don’t lift the weights for you and I don’t put that food into your mouth. I’m not there when you are in the gym on your own. So if you want results you gotta work, period. This is why I help you strengthen your mindset as well as your body. Many clients are surprised to learn they have been putting unnecessary obstacles in their way, simply because of the way they think about their fitness goals. I will show you how to avoid these obstacles – and how a few small changes to the way you think about your training can give you a massive boost of motivation. As I work with you, you will find yourself getting more determined, and more in the zone – so you will push yourself to work harder to reach your goals – both in the gym and outside. When you change your mind you change your body: when you change your body, you change your whole life. You can read more about how I work with clients as well as my programs for weight Loss and muscle building. And If you want my help in changing YOUR life,you can apply for a training place.